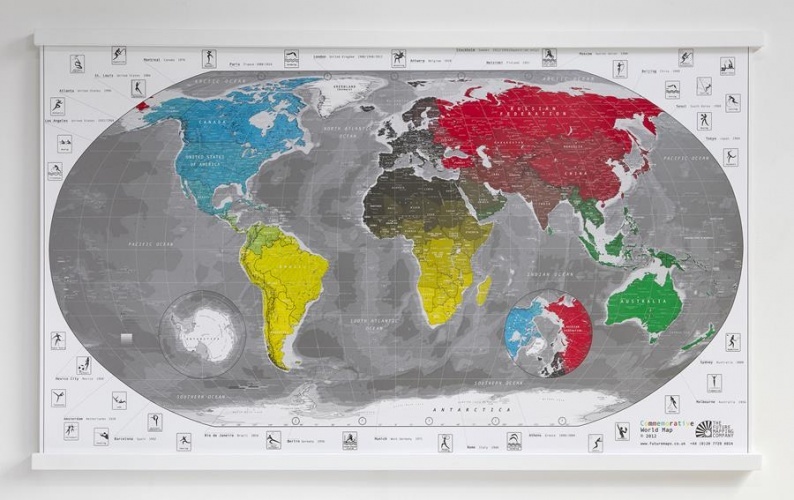 A commemorative lithograph map of the Olympics has been produced, which looks to reflect the “sense of unity” that the event creates. 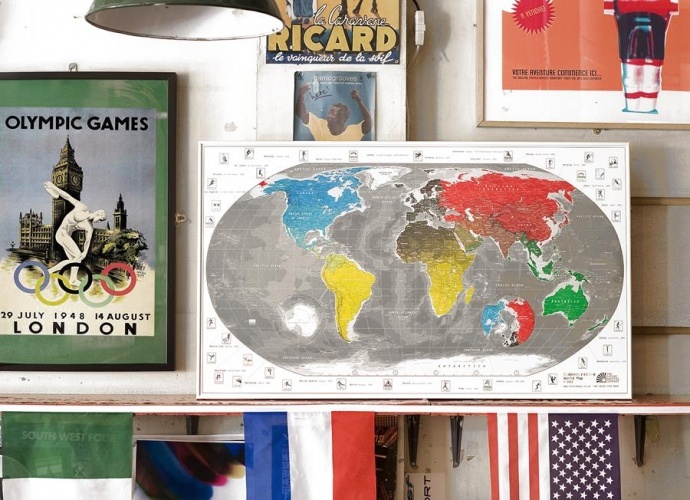 The map highlights every Olympic host city, starting at the first modern games based in Athens, Greece in 1896, up to Rio de Janeiro, Brazil 2016. Colours of the five Olympic rings have been incorporated throughout the map, while along the map’s border sits graphic illustrations of the 36 sports included in the games. The map uses silver metallic inks for the seas, alongside bright colours for the land masses, and is finished with a gloss varnish. A paper print costs £25, and can be purchased here.